I like to think of myself as a fairly harsh critic. I think I have an eye for good world building, character development, plot, etc. and I think I am very fair in how I assess different books perform at these various metrics. That being said, I have noticed an interesting effect when I read a certain kind of book. I find that I am much more forgiving, and much more inclined to give a good review, to books that give me a funny and happier tone. That is not to say that the books are without sadness and suffering, and that is not to say that I prefer books with lighter tones than darker. I just feel that if you are going to tell a story that is really depressing all the time, you have to really nail it or I am going to be harsh. On the other hand, as long as I am laughing and smiling you can pretty much get away with murder. 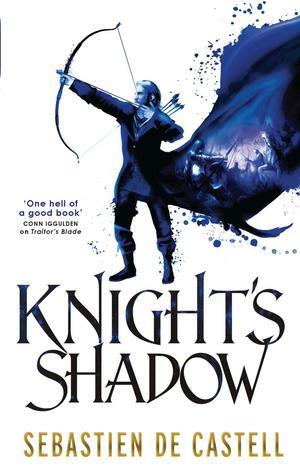 That being said, allow me to introduce you to Knight’s Shadow by Sebastien De Castell. This lovely book comes all the way from Europe, where the author originally published both it, and the previous installment. I believe the US version should be available shortly, but I feel that the UK cover art (on the right below) is worth ordering overseas for (cost me almost nothing extra). Knight’s Shadow is the second installment of the Greatcoats trilogy, a story about a group of magistrates called greatcoats who are tasked with traveling the land, hearing the pleas of the people (great and small) and making sure the law is upheld. They are sort of like duelist lawyers if you will. In Sebastien’s world, the job tends to take the form of telling all powerful dukes to stop oppressing some lowly peasants. So as you might expect, the life of a greatcoat is not easy. What originally drew me to the book is it takes a lot of influence from Alexandre Dumas’s The Three Musketeers (which you should read if you haven’t). The book follows the travels of three specific greatcoats, and documents their relationship and trials. 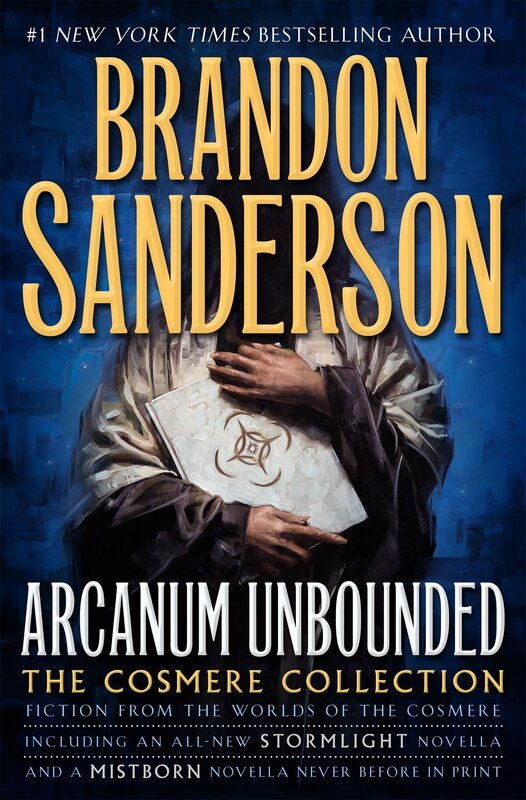 The books are laugh out loud funny, and the dynamic of the three greatcoats is honestly unmatched for me outside of the gentleman bastards from The Lies of Locke Lamora. The first book was a fairly straightforward story of the three greatcoats setting off on a quest and trying to complete it. 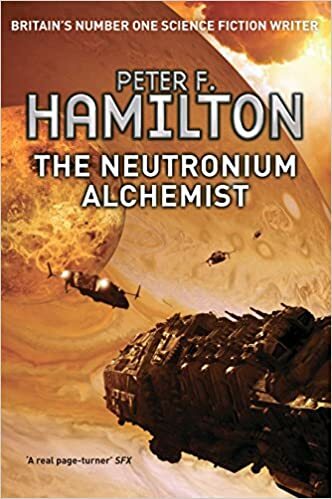 The plot was not the most original, but the hilarity of the dialogue and the genuinely likable characters more than made up for it and helped the book rise to one of my favorite series. I was surprised to see that Knight’s Shadow actually did a lot to make the book less cliche than its predecessor, while also maintaining the clever wit and great dynamic. 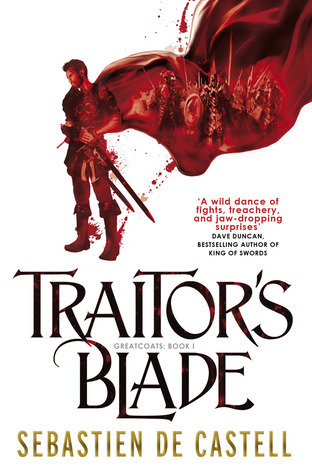 However, while it made serious headway compared to Traitor’s Blade (book 1), it still is not taking home any awards for most original plot. In addition, the characters are little deeper, have better motivations, have been fleshed out better. On the other hand, this might just be because the book is much longer than Traitor’s Blade, and had more room to work with. In the end, Knight’s Shadow’s major appeal still comes from the laugh-out-loud funny dialogue and the heartwarming characters that make you smile and cheer. The witty humor is kept fresh and fun throughout this second chapter of the story and helped me move past the few contrived and cliche moments. At the end of the day, the only way to describe these books is that they are simply a good time. If you are looking for something to make you smile, laugh (sometimes cry), and bro out then I recommend this book for you. When people ask me if there are any good Fantasy/Sci-Fi crossovers, I hand them these books. Welcome to Overworld, a fantasy world that Sci-Fi actors teleport into in order to broadcast fantasy adventures as live entertainment to a futuristic Earth across dimensions. Now I know that sounds awesome, and it is, but it is not even the best thing that makes these books so good. Matthew Stover is one of a few authors I have read to get a really interesting and expansive character cast. These perspectives include a self absorbed violent anti-hero, an abusive father, a cripple, a loving mother/father, the young, the old, a tyrant, the list goes on. It is a really unique reading experience that honestly gave me a chance to put on the shoes of people I never really had a chance to before, while also being incredibly action packed with an amazing plot and really well done fights. If you are looking for an original story mostly following an anti-hero, this is for you. For those of you who haven’t read Alexandre Dumas, I implore you to give him a shot. His literary classics like the Count of Monte Cristo and The Three Musketeers are amazing stories and you are often introduced to very pared down versions of them when you are younger. There is a lot to enjoy in their more full stories. Someone who seems to agree with me is Sebastian De Castell. 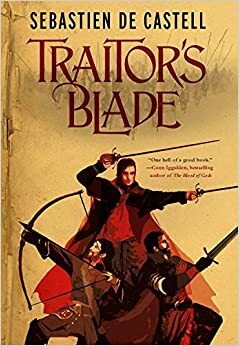 Traitor’s Blade clearly draws inspiration from The Three Musketeers, but carries most of the weight of the story on its own. The relationship of the three main characters is what makes the books special. It feels like you are reading a description of friendship. The dialogue between them is laugh out loud funny and makes your heart swell constantly. If you want to read a tale about you and your best friends fighting the world, this is for you. Who here likes Firefly? Ok you can all put your hands down. We all love Firefly, and we all wish it got its full run. Well…. how about something just as good to fill that hole in your heart? With how popular Firefly is I am always surprised at how few people know about these books. The Tales of the Ketty Jay are a series of four books that tell the stories of a crew of individuals on a ship. There is a captain with a sorded past, and a female crew member with a dark supernatural secret… and at this point many of you are assuming it is a rip-off. Except the Ketty Jay does a lot differently than the Serenity and it makes for a very different experience with that same Firefly flavor. The crew is more dysfunctional, with each of them having a well developed reason to be on the ship and away from society. The society itself is much more deeply explored, and more time is given to the historical conflicts. In addition, I feel like the books do a much better job hitting that “western” feel because they avoid outer space, and stick to trans-continental airships duking it out wild wild west style. If you loved Firefly, you will likely love this series. This book is clever. I think the premise is pure brilliance and the execution is almost as good. Everyone has read the “farmboy destined to be king” story, where an unlikely individual is unbelievably gifted and must go on a story of self discovery to come into his power. But what if there were 6 destined farmboys, they all thought they were the figure of destiny, and one of them was actually in fact the anti christ? The story is about an age old vague myth that tells of the coming of both a bright and black sun, one to save the world, and one to end it. In a rare turn of events, instead of the protagonists vehemently denying that they are gods gift to the lands, the opposite happens and multiple people think they are the good sun. Except, one of them is the dark and doesn’t realize it. After reading so many stories about reluctant heroes, the breath of fresh air that is this book really appealed to me. 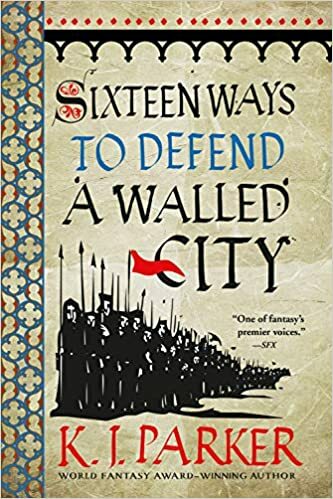 If you are looking for a twist on the classic epic fantasy I highly recommend it.